A rebel drone hit Yemen's largest air base on January 10, killing six loyalist soldiers during a military parade in an attack which raises questions over UN-led peace efforts. "This is time for the worldwide community to stand by the legitimate government and force the militias to give up their weapons and pull out of the cities", he added. Among the wounded were Yemeni Military Intelligence Service chief Mohammad Saleh Tamah; Deputy Chief of Staff Saleh al-Zindani; senior military commander Mohammad Jawas; and Lahj Gov. Ahmed al-Turki, Yemeni officials said. The officials spoke on condition of anonymity as they were not authorized to talk to reporters. Iraqi forces learned from driving out the Islamic State group from northern Iraq, where the extremists would load drones with grenades or simple explosives to target their forces. "We were under the impression that the coalition has a tight control over airspace and there is no way the Houthis can send drones or planes to attack us in the south", said Mohammed Ali, a solider in Al-Annad 2nd Brigade guarding the parade. It said several militants were killed in the raid, without specifying the number. 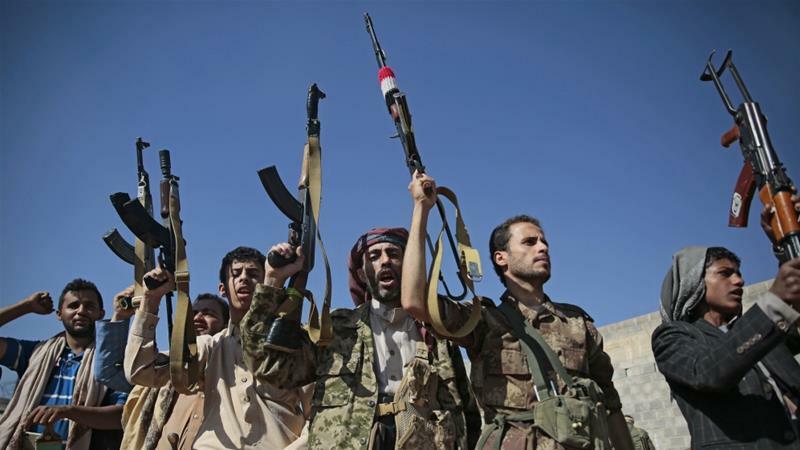 Yemen has always been engulfed in a state of war between the internationally backed government and the Houthi rebels. The coalition, which is fighting alongside government troops, has since been trying to restore Yemen's internationally recognized government to power. The Iranian-aligned Houthis and the Saudi-backed government agreed to a ceasefire in the strategic port city of Hodeidah and to withdraw forces at peace talks in Sweden in December following months of diplomacy and pressure from western countries to end the almost four-year war that has killed tens of thousands of people. "It is my view and it is shared by the leadership of both parties, but also others, that substantial progress, particularly on Hodeida of course, is something that we would like to see before we reconvene the next consultations", he said. The U.N. humanitarian aid chief on Wednesday accused the rebels of blocking humanitarian supplies travelling from areas under their control to government-held areas. The Houthis said in November they were halting drone and missile attacks on Saudi Arabia, the UAE and their Yemeni allies, but tensions have risen recently over how to implement a United Nations -sponsored deal in Hodeidah. The rebel group has previously attempted similar drone attacks against Saudi radar stations used to launch Patriot missiles. For its part, Iran repeatedly has denied supplying the Houthis with drone or ballistic missile technology.